Missing Mexican teachers: Not found in mass grave, reports say. Facing dozens of TV cameras from local and international media, Mexico’s attorney general said that 28 charred bodies found in mass graves near the city of Iguala on Oct. 4 did not belong to any of the students from the Ayotzinapa rural teachers’ college who have been missing since Sept. 26. 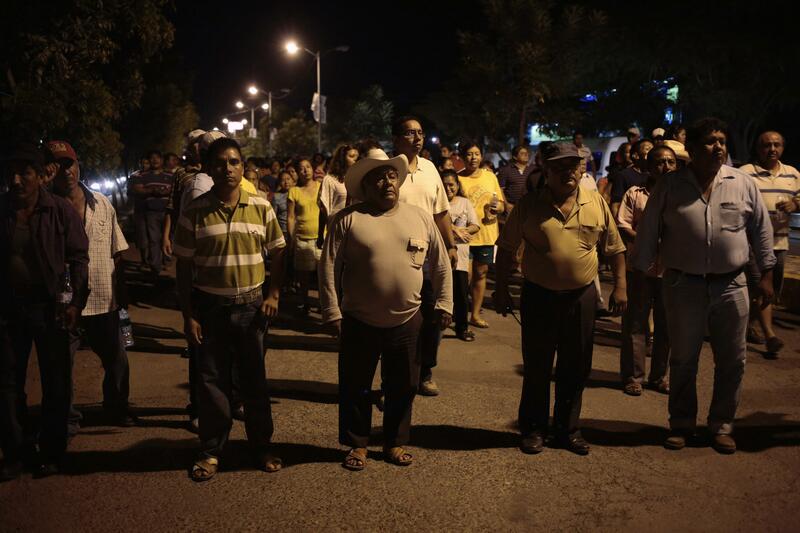 “The bodies that we found in the first set of graves [near Iguala] do not have DNA strands which match the samples given to us by the families of these young men,” Mexican Attorney General Jesus Murillo told reporters. Before they were abducted, the students had traveled to the city of Iguala from a nearby teachers’ college; they appear to have made the trip to hold a protest against education reforms and solicit money for school supplies and for a planned trip to Mexico City to take part in the commemoration of a 1968 student massacre. The students had commandeered buses when they were attacked, apparently by local police working (for reasons unclear) in concert with drug traffickers. 36 police officers have so far been arrested in the ensuing investigation, while the Mexican attorney general’s office and Guerrero state governor’s office have been attacked and vandalized by protesters upset that the missing students have not been found. More tests will be conducted on other remains found at the mass grave site.